One of the first organizers I bought was the Acrylic Cosmetic Organizer with 3 Drawers, Removable Dividers and Top Shelf by D'Eco, $25.99. 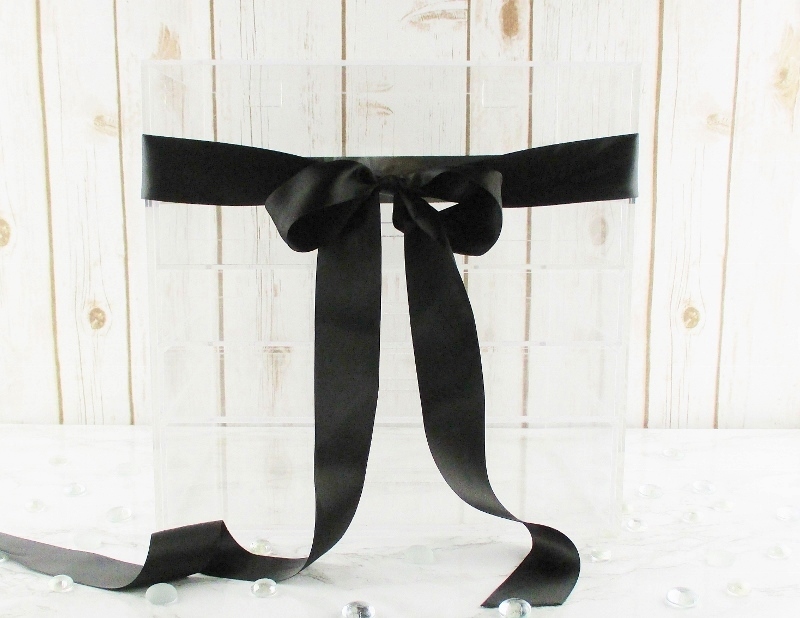 These compact 11.2 x 11.2 x 9 inch acrylic cases have three drawers; the bottom drawer is tall enough to stand up a Zoya or Essie polish, a stack of palettes or skin care jars. The top two drawers can hold ColourPop jars stacked two high and the top has a lip to hold my stuff back from falling off. While the acrylic isn't super thick, the case is sturdy and well constructed and has some heft to it. All of the drawers glide smoothly and, unless they are overloaded they don't stick or drag. Each organizer comes with several straight and an X dividers that make it easy to form sections and organize my stuff just the way I like it. Staged with some of my makeup to give you an idea of the depth of the drawers and because I think that I'm just tooo artsy. These little cases hold a lot of stuff! They would be great for not just makeup but jewelry, art or craft supplies, stationary, adorable little collectibles. 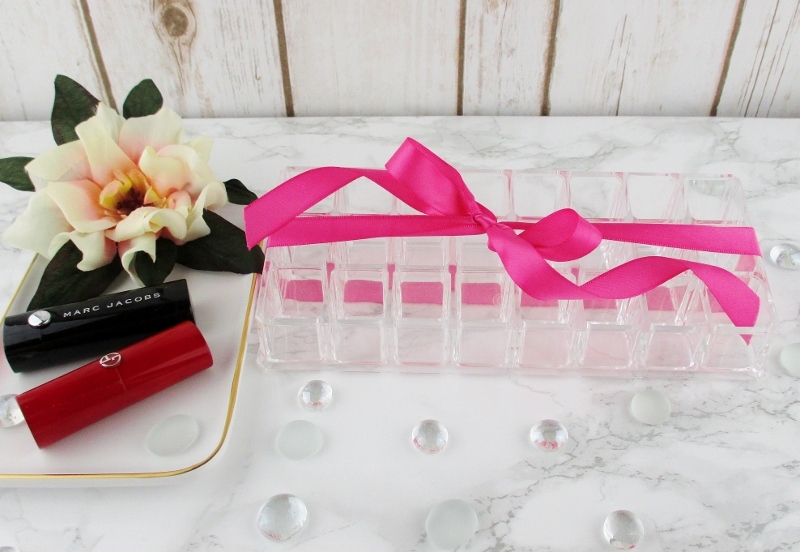 The D'Eco Acrylic Cosmetic Organizer is so useful that I have accumulated four of them. I have three on my dressing table, holding everyday stuff like foundations, powders, concealers, liners and brow stuff and palettes that I reach for, all of the time. One holds "makeup basket" items... Palettes, blushes and highlighters that I like to rotate in from my main storage for easy use and one holds skin care. Well, some of my skin care. If you have a "normal" non blogger or hoarder collector mentality, one or two of these cute little darlings may be all you need. I remember when just one would have been plenty of storage for me, with room to grow. What happened to that me? Oh, that's right... No regrets. We all have to find what we love and run with it. On top of a nearby shelving unit live my two Whitmore 5-Tier Acrylic Cosmetic Organizer Clear, $72.99 (dividers sold seperately) cases. 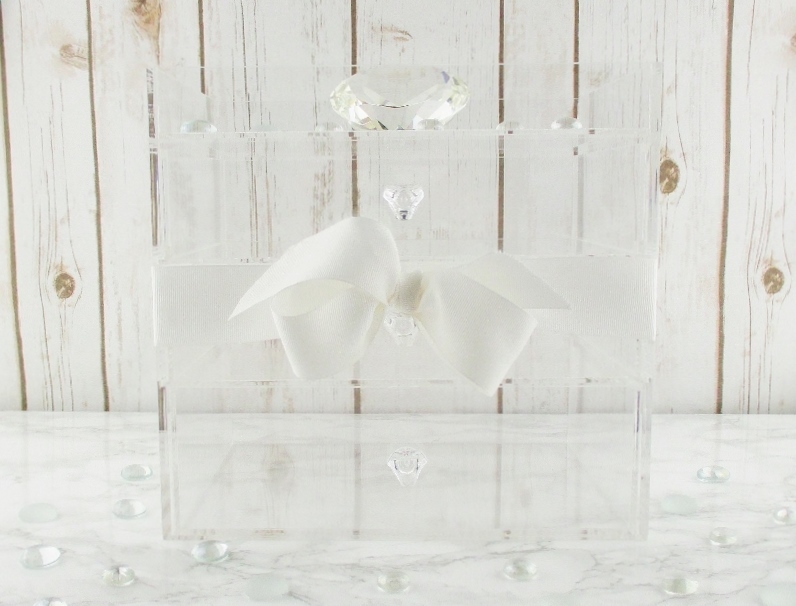 Measuring in at a generous 9.5 x 12.0 x 12.25 These large makeup cases are well constructed of high quality, crystal clear acrylic, they are hefty without being too heavy and they hold a ton of stuff without covering a huge footprint. I own two of these and I'm seriously considering purchase of two more, just so that I can further refine my organization and have some more room to grow my collection. The lower drawer is the deepest and it easily holds my tall tin of Guerlain Meteorites pearls with some room to spare. Then there are three more shallow drawers deep enough to stack palettes, blushes or will accommodate makeup items in thick packaging very nicely. The top section has a lift open lid that swings freely to lie flat, against the back of the organizer, if you want to keep it open to hold tall items like foundation bottles, skin care, makeup brushes, fragrance... You name it. These cases have soft little clear feet on the bottom to guard against them sliding and make them furniture friendly. Caboodles Cosmetic Cutie Organizer, $15.99 has ten compartments to easily store skin care, makeup, brushes, Q-Tips, Cotton pads... I really like this little organizer. The lid will work on the square compartment on either side. I just wonder why there aren't two. But for the quality build of the item and the price, I can't really gripe. 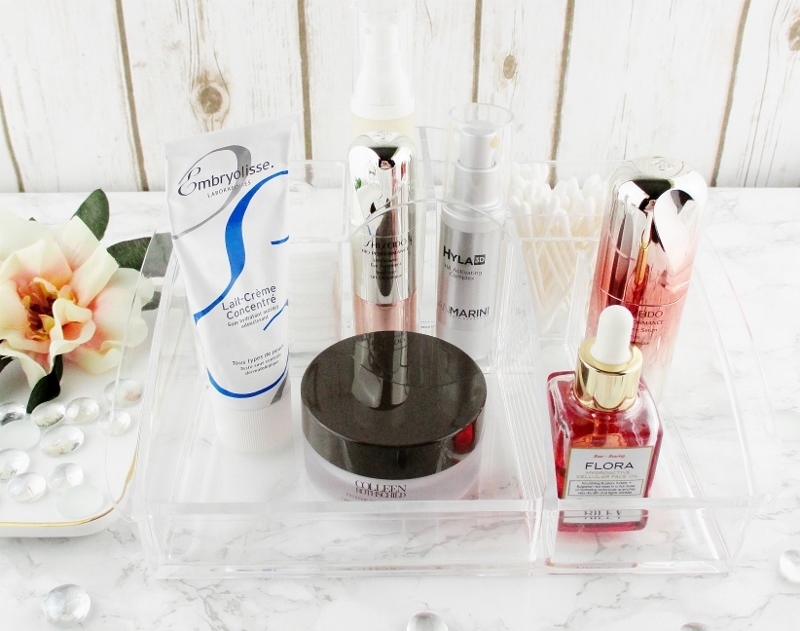 As you can see, there is lots of room to arrange beauty supplies just the way you like and the crystal clear acrylic looks so sleek and clean on my dressing table. Kantek Acrylic Mini Sorter, $11.93 is a two section letter organizer that does a very nice job of holding and displaying a few palettes. I actually meant to order this one because it was a Prime Deal of the day but somehow, I ended up ordering the one, you see. I can always pick up the other one, some day. 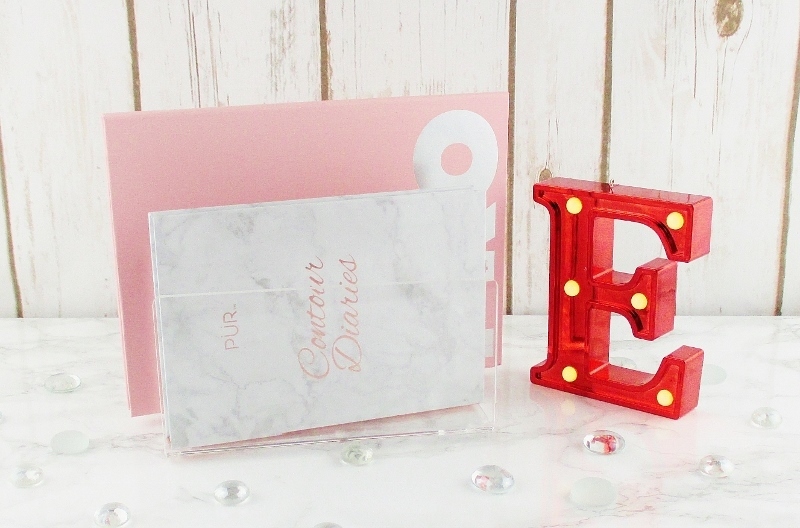 This letter organizer easily holds and displays palettes of various sizes and thicknesses without falling over or blocking the pretty packaging. I mean, isn't pretty packaging half the reason why we buy a great palette? Couldn't find the exact lipstick holders I bought but this one is just about the same and almost all of them are very, very affordable. 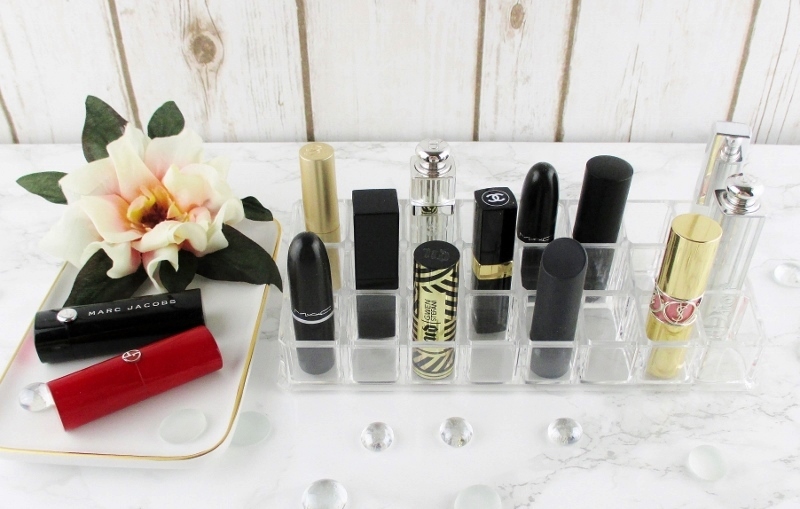 While I like how these lipstick holders look, a couple of mine won't hold larger tubes, like the ones in the try to the side but they do hold up to a Tom Ford lipstick, easily. Ideally, I'd love a lipstick holder that can accommodate the big and awkward sized lippies, too. Acrylic is not difficult to take care of. To maintain their clarity and sparkle, I dust mine, on a regular basis and when they start looking smudged and dusting or spot wiping up isn't doing the job, any longer, I empty the organizers and clean them with plain water in a spray bottle and a lint free cotton cloth. If that isn't doing it, into a sink full of warm, soapy water, they go to be washed, rinsed then dried. Do not use glass cleaner or alcohol on acrylic, as the material will craze and discolour. All of these items are available and you still have plenty of time to order and receive them in time for gift giving if you use Amazon Prime. You can also use EBATES. If you aren't already a member, it's fast, easy and free to sign up and when you do, you get ten dollars! Just click the little EBATES icon in my sidebar and you're on your way to getting paid to shop. If you enjoyed this post and found it helpful, won't you please give it a share? Sharing my posts really helps me out. Thank you! I love acrylic organizers. You're pictures are soooooooooooooo good!! So clear. They give me a great idea of what these look like in real life. Aww! Thank you. I was worried that my photos didn't show them well enough. I really like the acrylic, too. It's so pretty. I like shopping from Amazon. Great deals like you said. I found some nice ones at TJ Maxx too! Ooo!I need to take a look around and see what my local has. That whitmor organizer is now on my wish list! 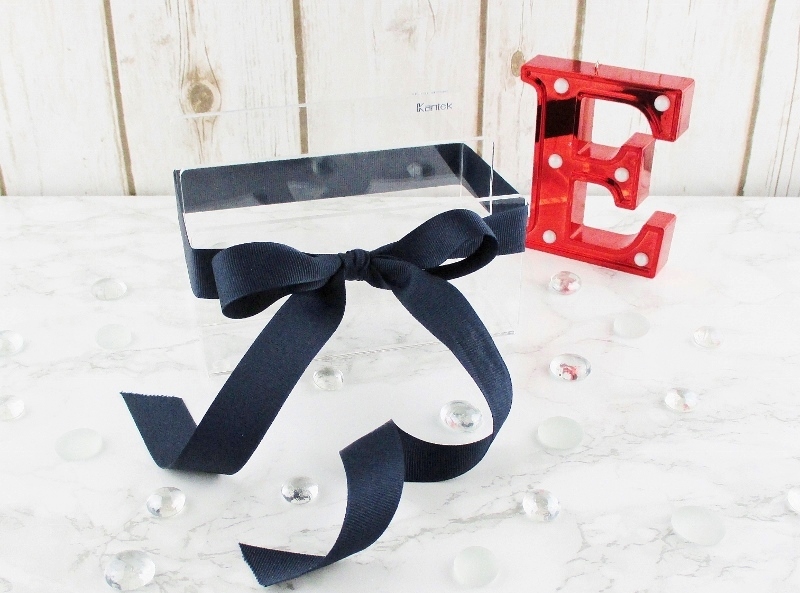 I love how you've tied bows on some of the acrylic holders so we can see them! Everything looks so pristine, so beautifully organized and displayed! You'd be disgusted by how my huge stashed is "organized". 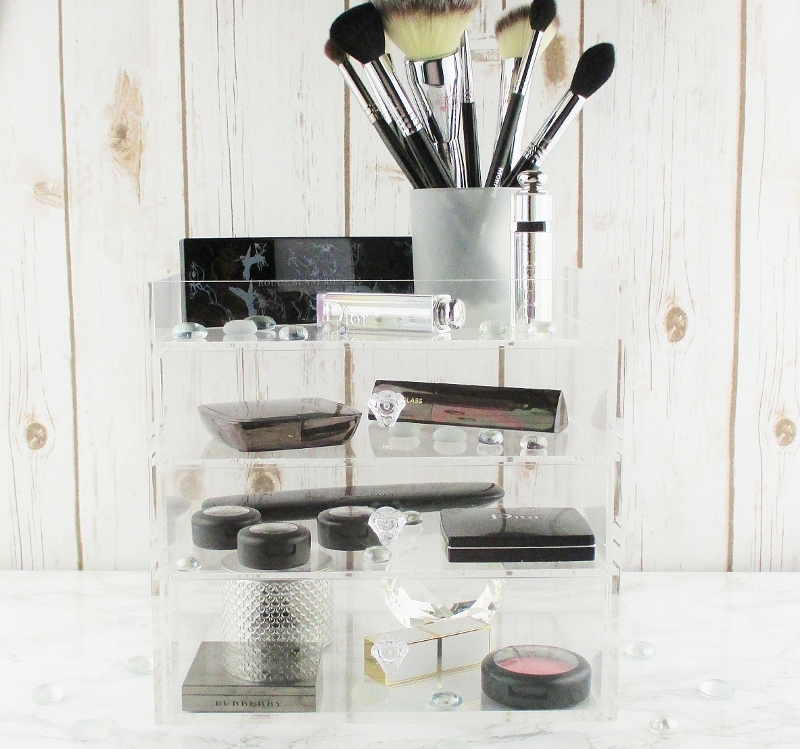 I am obsessed with acrylic makeup storage as well. I really like the look of the Whitmore 5-tier, and may have to pick one, or two, up! Thanks for the wonderful review, Erika! I've always found great storage solutions on Amazon! These pictures are gorgeous! I have a man acrylic organizer I got for $19.99 at Marshall’s, I think it was - no need to spend all that crazy money on these!!!! Great picks on Amazon. I haven't figured out how to order through ebates for Amazon. I love your organization but I don't have that much room for storage. I need to rethink it though since I'd love to use my acrylic organizers in a more efficient way. I never thought of the letter type holders for palettes, great idea though. I love how clear they are! The letter organizer would be perfect for all my stickers for my planner! I have a huge spot in my heart for acrylic holders so thank you for sharing some affordable ones. I'm really purging through my makeup this year and want to show off the few items I am keeping in a nice way instead of shoved into plastic drawers. I need another acrylic storage organizer! I love the look of acrylic storage systems. Kinda funny since they end up almost invisible...... but yeah! I have a couple on my desk for my most used lippies and eyeliners. Love this type of storage!!! Acrylic drawers are my go-to for keeping makeup brushes (flat; that way dual-ended ones aren't affected). It helps save time when you can see what brush is in which drawer! I love acrylic storage. I keep having to buy more for my lipsticks. LOL!! Wow, you found some really great deals! I have one large one (that was way more expensive than these) and a bunch of smaller units, but could use a second large one as I have way too much stuff. I could use another one of these, such a great storage unit for beauty lovers. These are great options! 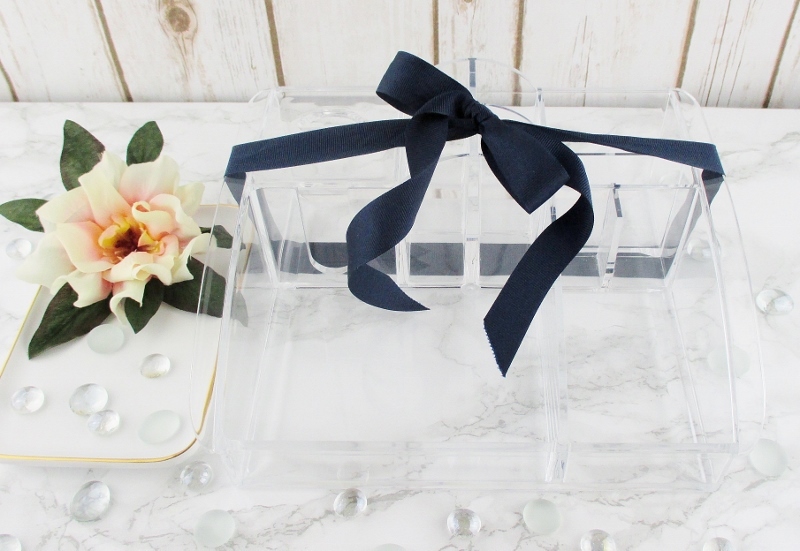 Sometimes storage can be as expensive as the makeup itself but this is perfect! I'm in need of an organizer for my bathroom and this is just fabulous!!! I love the clear setup, way easier to find stuff!! I need to get some organizers for my area, I love them all too much to not own any. Gorgeous photos! These look so amazing! 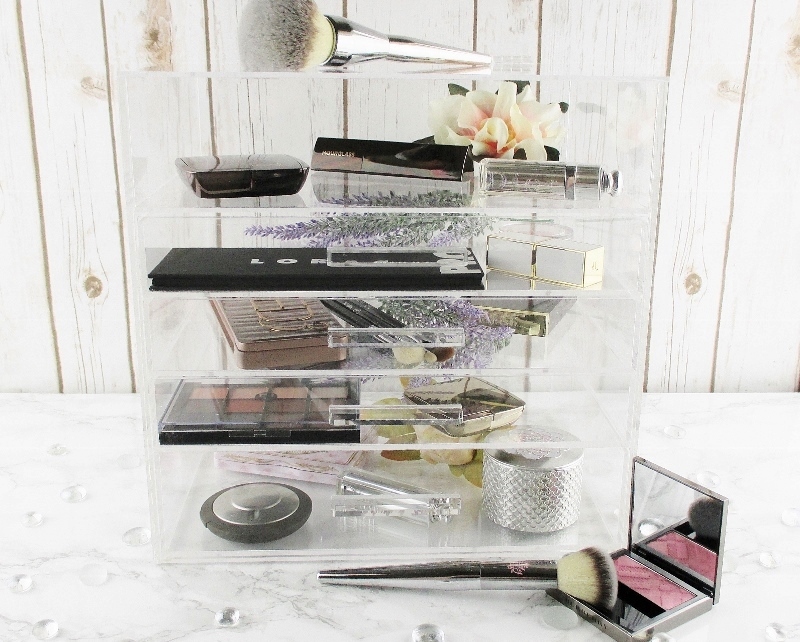 I'm in the market for new acrylic organizers so I'll definitely be saving this post for future reference! These are really nice - and I LOVE the prices! I have tons of storage for my nail polish but need better options for my makeup. I have the D'Eco one - well, 3 actually and love them. I keep telling people about them because they are so awesome considering the price point.